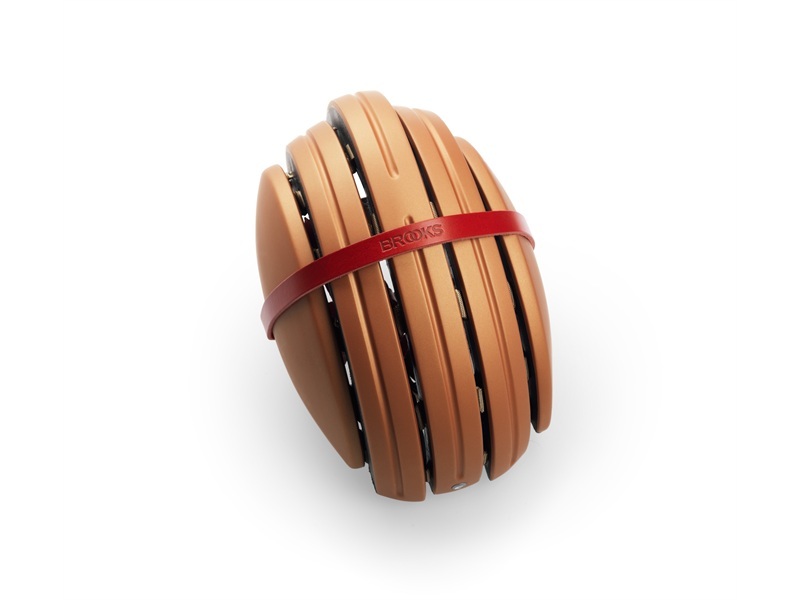 First unveiled at Eurobike back in 2012, Carrera’s foldable helmet is inspired by the “leather-sausage” that “protected” the heads of the peloton through the 1970s. The new collaboration between Carrera and Brooks England sees the retro dialed up to eleven with a generous helping of leather and tartan detailing from the famous Black Country manufacturer. First off, if you’re not familiar with Carrera’s foldable helmet, it’s really not as dangerous as it sounds. The helmet doesn’t literally fold as much as it squashes, with the protective EPS strips joined together by nylon bands, which then collapse allowing the helmet to lose a few inches in width. This means that the helmet complies with the EN1078 European safety standard while squashing down small enough to be a little easier to carry around and fit into bags and lockers. 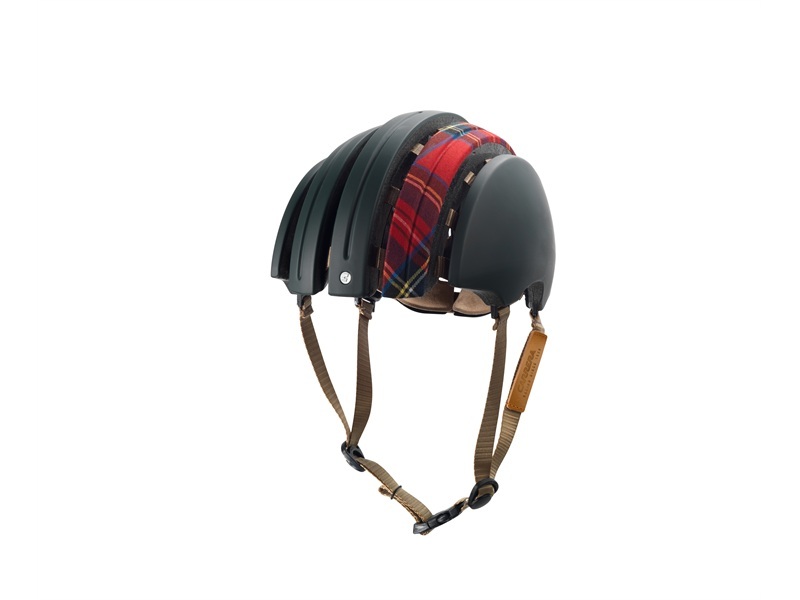 The newly designed helmet comes in two variations: the J.B. Classic and the J.B Special, both taking their place within Brooks’ exclusive John Boultbee Clothing label. The J.B. Classic has the simpler design of the two, being available in block colours of either black, brown or white. The J.B. Special is a little more flamboyant, with four main colours available, each of which comes with a different tartan design on one of the main EPS strips. Both of the models come with a stylish leather carrying strap imprinted with the Brooks logo which is designed to wrap around the helmet when it is folded. These are also intended to double up as strap to keep your trousers and greasy drivetrain well away from each other. Other features are common with the basic Carrera foldable helmet, such as the elastic fitting system which takes the place of a ratchet or bolt at the back of the helmet to ensure a close fit. The foldable helmets are available direct from Brooks, and come in either medium or large. The J.B. Classic can be yours for €150 (£118) while the J.B. Special will set you back €170 (£134), a significant mark-up on the basic Carrera model which retails at £59.99. For more information visit the Brooks website.